Make 4 payments of $3.99 over 8 weeks and get it now! Make a messy job clean and see why Porta-Pak are one of the most popular tank deordorisers in the market. 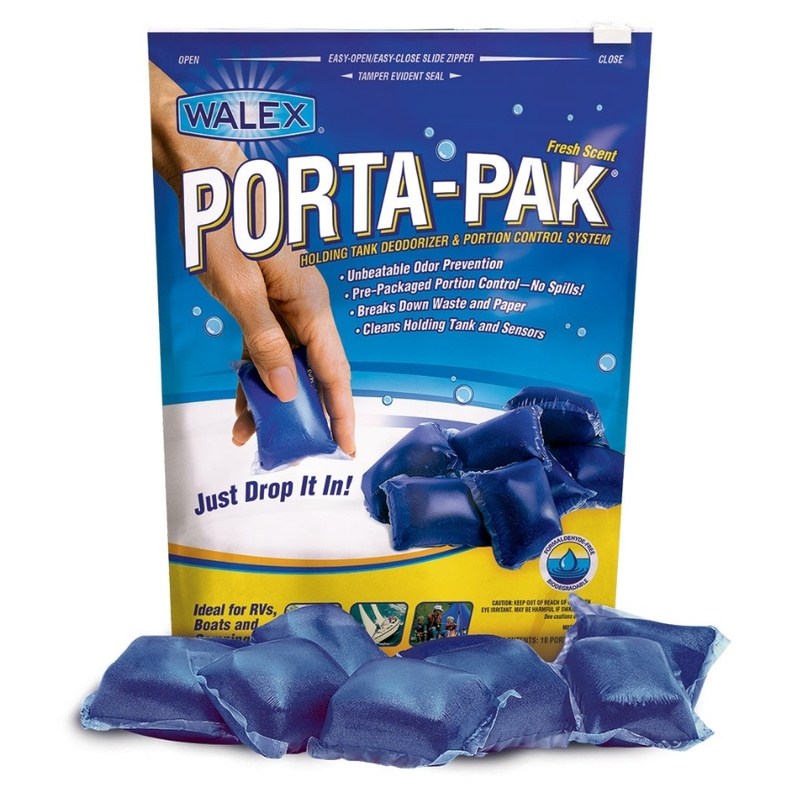 Porta-Pak sachets utilise the Walex Wave 2 odour control technology, delivering long-term odour prevention for all caravan, boat and recirculating toilet applications. The commercial strength water soluble sachet disperses quickly into water and will not clog pipes, pumps or valves. Continued use of Porta-Pak Express will keep your toilet odour free and hassle free. No need for messy liquids or chalky tablets. Buy now and be ready to head off on your next camping adventure. We can't wait to get your caravan and camping gear out to you. Here are a few things you can do to help us get your goods to you as quickly as possible. Please leave us a phone number to contact you about your delivery if required. We will not use it for any other purpose. We are very sorry but we do not deliver to PO Boxes. We use couriers for delivery, they can not deliver to PO Boxes. Most items are shipped within 3 days of purchase. We are in NSW, if you are in WA or TAS or a remote regional area allow between a week and ten days from dispatch for your goods to arrive. How will I know when you have sent my goods? You will be sent the courier tracking details of your goods as soon as they have been shipped. Our couriers deliver between 7.a.m and 6 p.m weekdays. If you are not home often, leave an alternate delivery address at the check out (such as a work address). We do not deliver on weekends or public holidays. Please factor these into your delivery. We do fixed price shipping. The rates quoted are for major regional centers and metropolitan areas. If you live in a remote regional area postage may incur and additional fee. Please contact us for a quote prior to purchasing. We don't deliver to remote off shore Islands. With the best intentions in the world sometimes things can still go wrong.